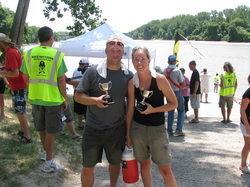 Team MoDak completed the journey by participating in the Kawnivore, a 96 mile race on the Kansas River. The race was organized and held as an alternative to the MR 340, which was postponed due to flooding conditions on the Missouri River. It was a true test of mental and physical toughness to finish the race and we would have never made it without our dedication to helping each other and the tireless support from our ground crew. We pushed hard and placed third in our division, completing the race in 20 hours and 1 minute. We have had the most fantastic time throughout the past six months. It has been a wonderful journey of spreading the Missouri River gospel with a whole lot of FUN-raising! We would like to say one last THANK YOU to everyone who contributed to the success of Team MoDak. It truly has been inspiring meeting new faces, re-connecting with those from the past, and sharing the passion of making a difference. And as for the future of Team MoDak……well, hopefully we’ll see you on the river! The idea may seem bizarre to paddle a river in Kansas to raise funds to clean a river in Missouri- but this is how the chain of events has played out! 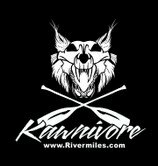 Due to the flooding conditions on the Missouri River this year, the race venue has changed to the Kawnivore, a 100 mile race on the Kansas River, (aka the Kaw). We have been given a voucher from the MR 340 to participate in the Kawnivore. This is the second year in a row at our failed attempt for the 340, so our excitement can wait no longer. It’s not the Missouri, but we will be racing for cleaner waters on Friday July 22-23. As for the fundraising…….there WILL be clean-ups this fall all along the Missouri, and funds are going to be needed to support them. That much hasn’t changed. Check Missouri River Reliefs website at the link to the right for more details. There are many ways to support the clean-ups this fall. If you can’t support financially……you can always support with your time! We hope to see you all on the river, regardless of where the venue takes us!! Follow along with the flood conditions at Big Muddy News, a Missouri River News Feed hosted by Missouri River Relief. In recent history, someone unfamiliar with the history of the Missouri River may wonder how it was given a name like the Mighty Missouri. Despite many beliefs of being in control of the the river over the past few decades, a mix of events like we are experiencing this year has reminded everyone that such a mighty force will push the limits of control. 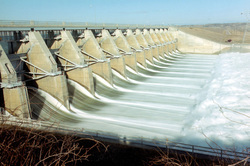 With all six dams on the upper Missouri River releasing water at record levels, communities along the entire stretch of the Missouri River will be battling flooding conditions all summer long. While this puts a damper on all the activities we had planned for, it is miniscule when considering the homes and communities along the river. The MR 340 has been postponed, with realistic expectations for a cancellation. Team MoDak is considering participating in an alternative race on the Kaw River, 100 miles of navigating sand bars on a murky river. We have also accepted a voucher for the postponed MR 340. 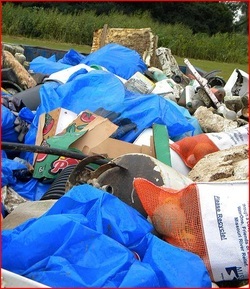 As for the river clean-ups scheduled for this fall, there will still be an assortment of clean-ups for certain, but a complete schedule of events will not be certain until we know what the Big Muddy will do this summer. It’s hard to imagine how the river might change. Perhaps she will carve new channels or regain some of the floodplain that was taken from her; there is a lot of uncertainty on the behavior of the river this year, a lot of opportunity for finger pointing who is responsible, and a lot of communities that will endure hard times with the rising water levels. The history books reveal hundreds of stories telling the mighty force of the Missouri River. The summer of 2011 will surely join those stories, further convincing to the argument that we cannot control this river. Some may decide to consider the events creating this flood poorly managed, ill prepared, unforeseen, unpredicted, non-reactive, and perhaps questionable. Call it whatever you want; I call it the Mighty Missouri. Team MoDak is paddling 340 miles in the world's longest non-stop canoe race, the Missouri River 340, in an effort to raise money and awareness for an organization that works hard to keep our Missouri River clean. In the past ten years, the Missouri River Relief has organized 68 cleanups spreading across 667 miles of river and removing over 592 tons of trash. But the trash continues to accumulate, gathering on the banks and floating in the drifts. We aim to help change that. 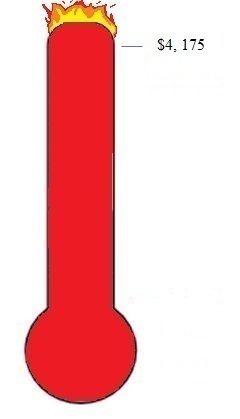 With the help of many, we have surpassed our initial goal of $3,400. There is no reason to stop here......Lets keep climbing for cleaner riverways!!!! A special thanks to the hundreds of people who supported, donated and shopped, the extra dontations for Team MoDak, and the Parkade Neighborhood for allowing the circus to come to town! * If your name is not listed, or you would like to be removed from the list, please contact us! We're getting some great media coverage of our efforts. Below are some links from local media. Thanks to everyone in the community for your support!!! Help Team MoDak Support the Big Muddy!! For as little as a penny a mile, you can help support the Big Muddy and keep her free of trash. 340 pennies for 340 miles........... and a cleaner Missouri River.